Retreat back to self on this inspirational weekend of relaxation and connection. Allow yourself to go on a journey of inner transformation, letting go and dissolving old self-limiting beliefs and move forward aligned with what success and happiness is to you. In the stunning surroundings of the Wicklow/Wexford mountains, go deep with natural balance and harmony. Abundant with the powerful, ancient modalities of yoga, meditation, mindfulness and hypnotherapy, re-connect and claim ownership of self-love, your personal power and the perfection that is You. Reconnect with self with a gentle Hatha Yoga class on Saturday morning. Enjoy outdoor meditations and connecting (weather permitting, fingers crossed!) 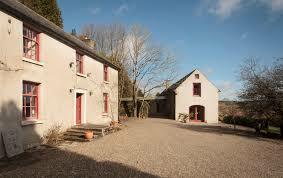 in the acres of oak woodland nestling the 1770 period farmhouse. Align mind, body and spirit with deep reflection and self examination. Experience powerful, proven ways to break free from self-limiting beliefs into personal freedom, joy and success. Discover how to become the master of your own life. Move forward centered in your own personal power. Align with what clarity, peace and growth is to you. Create the masterpiece that becomes your life. Explore walks during free-time in the stunning surroundings of the North Wexford Countryside. Your home for the weekend is Monalea Barn. This stunning rural retreat, only an hour from Dublin, is nestled in a quiet valley high in the southern reach of the Wicklow mountains at the foot of Croghan hill. 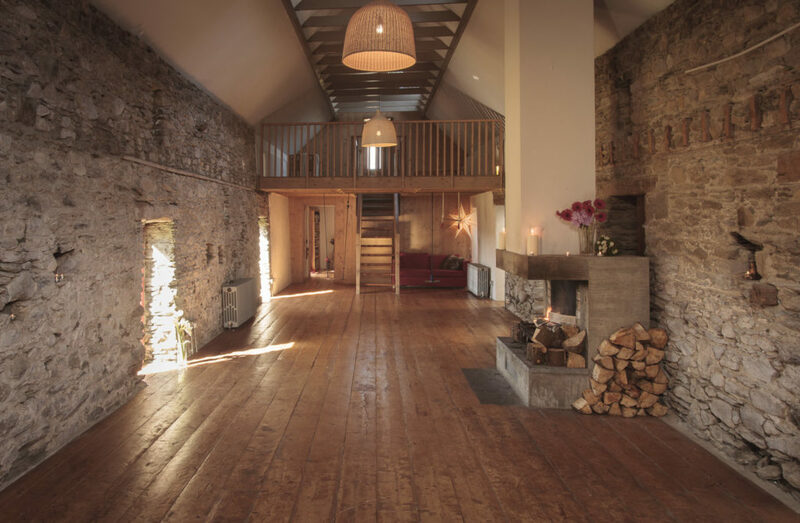 The barn’s vaulted roof and wood floor is a haven of character. The large open fireplace in the middle of the room and its stone walls make it very atmospheric, especially at night with the warm glow of candlelight in the many little alcoves. Early Bird €275. Available until 31st July. €325 from 1st August. Inclusive of: 2 nights’ shared accommodation, all meals and workshop participation. A non-refundable deposit of €100 is required to secure your place. or Click here to book. Your weekend will be facilitated by Hilary Connor, Author and Spiritual Wellness Coach. Currently studying an Advanced Diploma in Executive Life Coaching with Neuroscience from Trinity College, Dublin, Hilary is a Certified Consulting Hypnotherapist, Natural Intuitive Healer and Mentor. She holds a Diploma in Training and qualifications in counselling. Taking small steps in the right direction again and again, creates major transformations in our lives and leads to self-mastery. Hilary values the powerful blend of the spiritual and neuro-scientific and combines ancient teachings with the ground-breaking discoveries in neuro-wellness to help her clients reclaim the infinite power within and discover self-realization in a real and natural way. I am delighted to be joining Sharon Fitzmaurice as Guest Facilitator once again in The Boghill Centre, Co Clare. Our weekend retreats are all about self love and what better way to give yourself more of what you deserve by treating yourself and a friend/ partner to a whole weekend just for you. Our retreat will focus on moving from our past and into the beautiful present. We will do this by starting with past life regression to dissolve painful issues, letting go and moving into the freedom of now. Look forward to lots of meditation and mindful moments allowing for self awareness on a deeper level. As we work together, opening up your creativity and sourcing the excitement and passion for yourself and your life, ready to explore new ideas and opportunities. 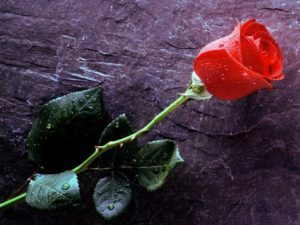 Beautiful connections will be made that will bring out about an inner confidence and belief that you are capable of achieving anything you set your mind to. Our weekend will help bring you to a place within yourself that there is love, healing, peace and acceptance. You will be joined by like minded people – guys and gals who are looking to transform old patterns and beliefs so that they can bring about a positive change in their own lives both personally and professionally. Join Intuitive Wellness Coach & Author Sharon Fitzmaurice for her 23rd weekend in bringing like minded people together from all over the world to spend some time reconnecting to their true selves. Connect on a deeper level to the spiritual being of your energy through meditation, deep creative work, unlocking subconscious fears and allowing yourself to fully blossom this Summer. 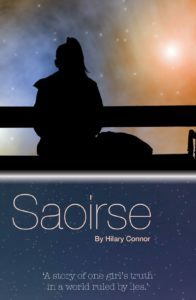 Joining Sharon for this weekend retreat is guest facilitator Hilary Connor – Spiritual Wellness Coach & Author based in Co. Wexford. This will be Hilary’s second time facilitating with Sharon on a weekend retreat and her beautiful gentle energy brings so much love and comfort. Together they create a beautiful blend that compliments and encourages. This insightful talk is focused on helping you to realign with the infinite power and potential within. Hilary will share her wisdom and practical guidance on how we can best navigate ourselves and our minds on a day to day basis to a place where we feel more in control, calm and at peace. The highly effective tools and techniques Hilary shares on the evening can be easily integrated into our lives and can have a transformational effect on our mindset, our emotional body and the overall direction our lives take. 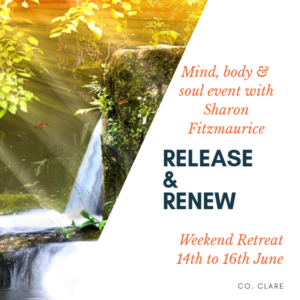 I am delighted to be joining Sharon Fitzmaurice Spiritual Wellness Coach and Author as guest facilitator for a weekend retreat with a difference. This will be Sharon’s 20th time to bring a group away on retreat to the beautiful Boghill Centre in Kilfenora Co. Clare. Park your car up on Friday and you don’t have to drive again until Sunday afternoon. The weekend will include workshops of meditation, mindfulness and creative exercises to honour all loss in your life. 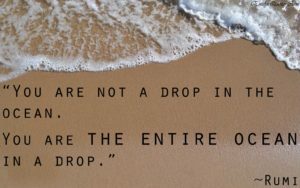 To connect with that deep love we held for another and how it may feel like a part of you is missing. To learn to honour all feelings of grief, separation, feeling alone and how to cope without that person, whether they have physically passed from this world or are just not present in your life anymore. It is also a time to honour who you are now. There are a limited number of private rooms available and a supplement added if you wish to book one. There are 4 singles and 4 twins available. Request for a private room must be made on booking. To bring with you, towel and toiletries. For workshop space use, blanket and cushion. For walking meditations or just your own free time exploring – rain jacket, walking shoes and comfortable clothes. We usually sit around the fire in the evenings and chat or sing, if you wish you may bring refreshments of your choice. Chocolate and crisps are always welcome too!